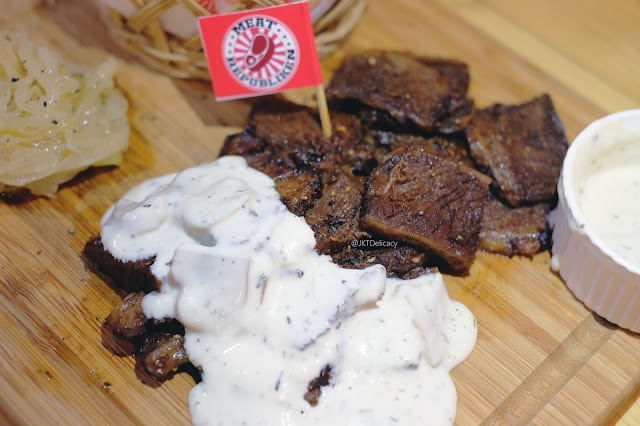 I was not expecting to write about this steak house because I didn't plan to when I visited there in Pondok Indah. But, I think Meat Republiken really deserves a lot more attention. 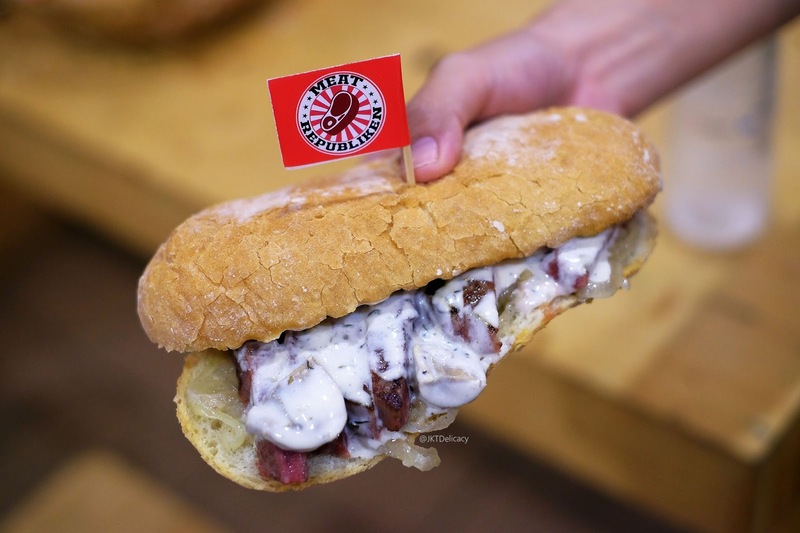 The reasons are very simple: Its totally delicious, its so underrated, and its so affordable. There's no doubt that when you're looking at the menu (and the price), you'll agree with me that everybody is gonna afford the price. 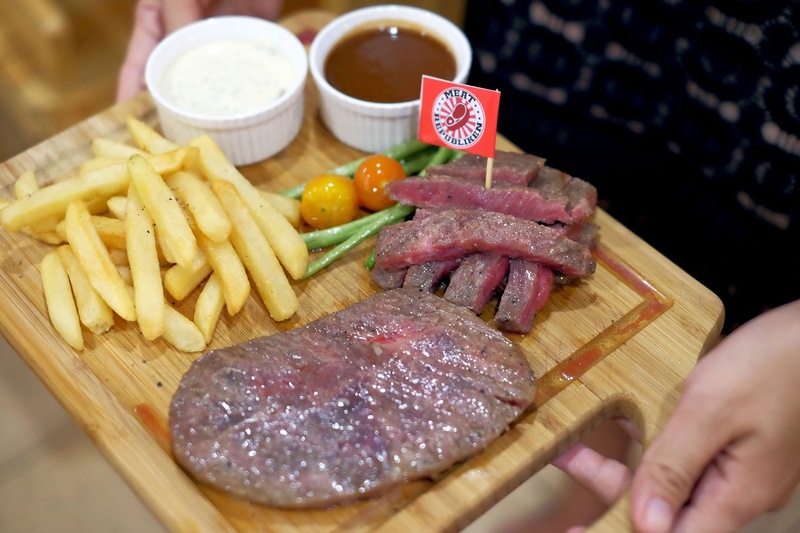 Imagine having 320 gram of Wagyu quality Sirloin for only IDR 135.000. Where else could you get that price? But to make it quick, I'll show you a few photos from my dining experience there. 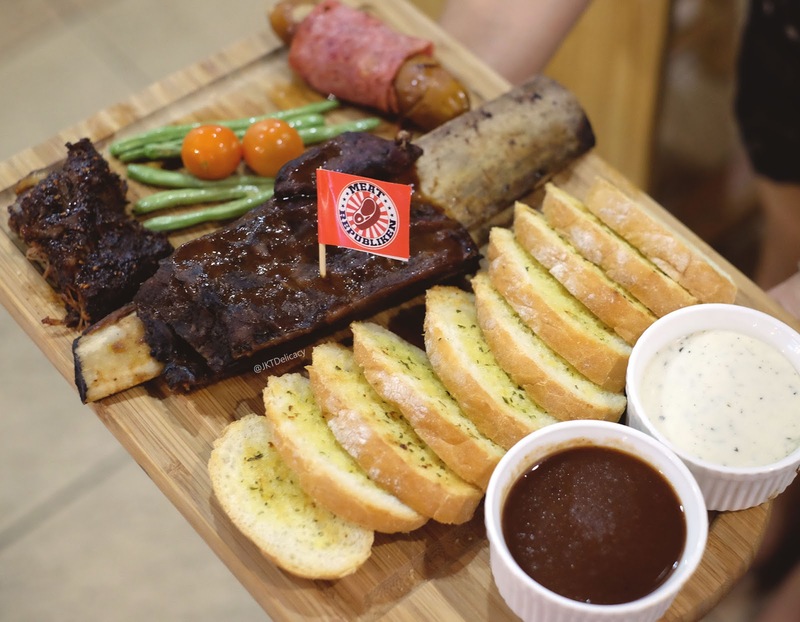 This is totally a big portion as the name Platter, you can share it for 2 persons. Well, I have to be very honest, that night me and my wife got invited for a super complete food tasting there. I mean I didn't expect to try all 6 menus at one time because its totally meat menus. Like I couldn't finish all 6 menus because I don't eat that much. So, I definitely went straight to the meat and just tried one or two bites of the side dishes. This one had a big thick meat and the bones was big as well. The meat was slightly tougher, but hopefully its because I took photo of it too long. But the overall taste was very good. It came with two choices of sauce: Mushroom, Barbeque or cheese. 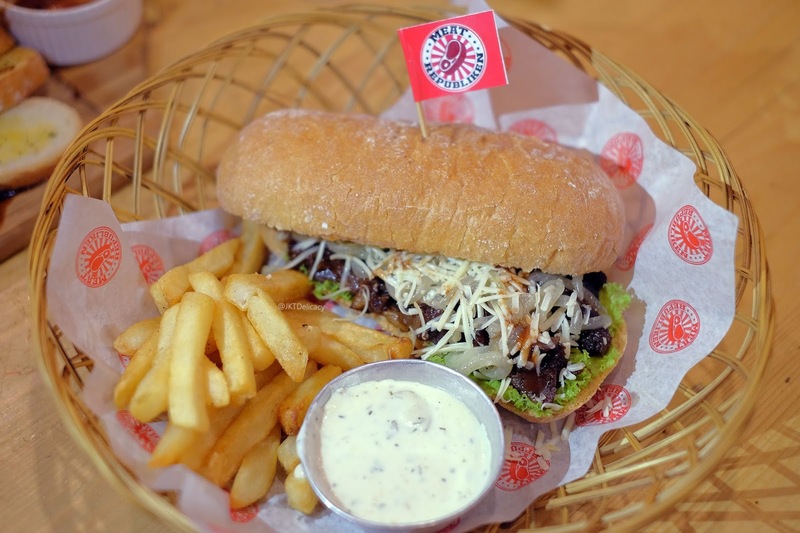 A ribs burger for only IDR 55.000?? Wooot. 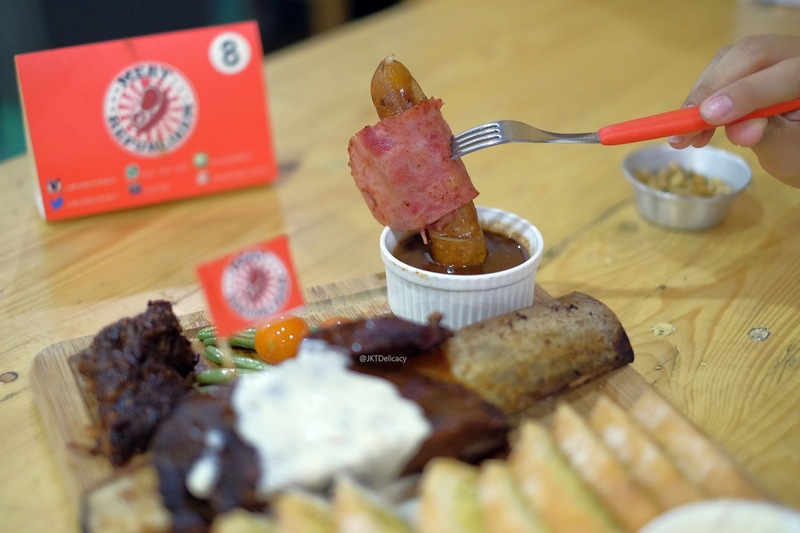 It only happens in Meat Republiken. From the same ribs of the first ribs platter, this one was even more tender and juicier, probably because its already pulled. 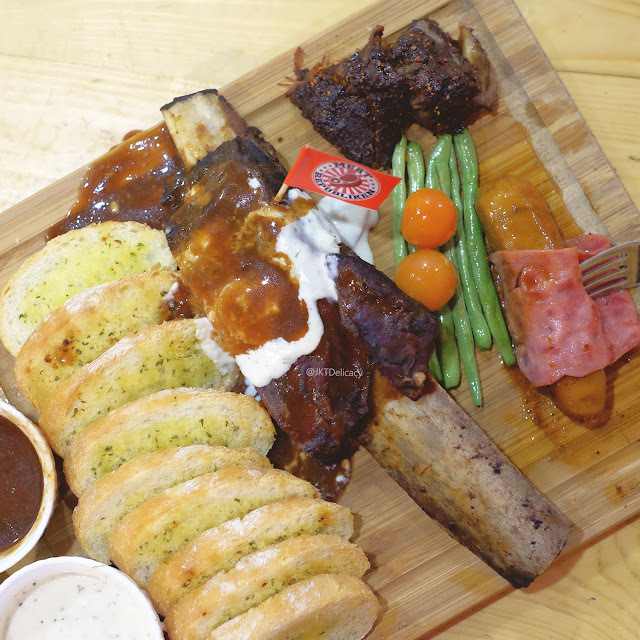 The chef shared that he was inspired by the famous Pulled Pork Burger, but to accommodate the halal one, he picked this ribs meat. For me, this is totally worth the price. 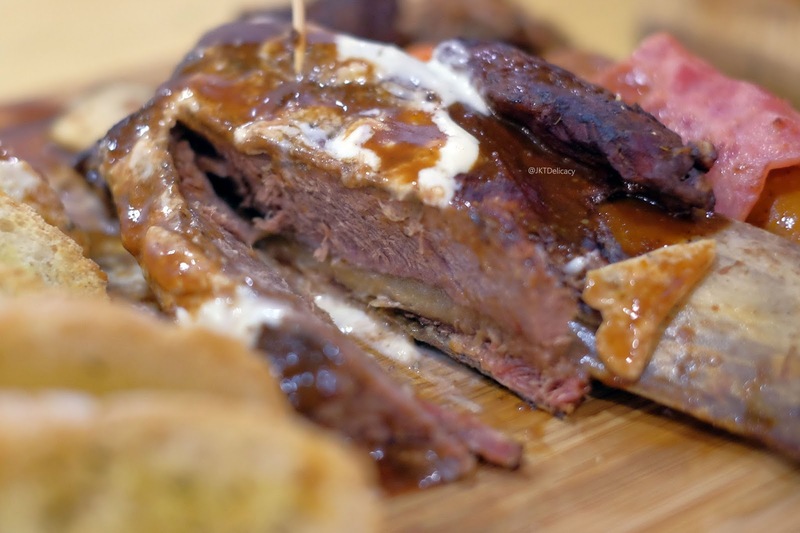 I mean look at the burger, ribs with cheedar cheese and caramelized onion. Gosh that was soo good! Well, two words: like it or hate it. 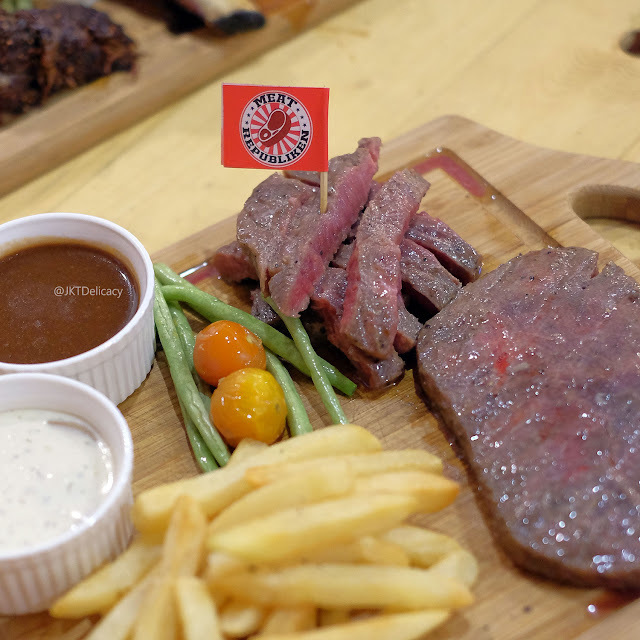 The Chef cooked this Medium Rare Wagyu Sirloin for us because most foreigners prefer Medium Rare steak. It was probably my first time trying Medium Rare because I normally requested just Medium. 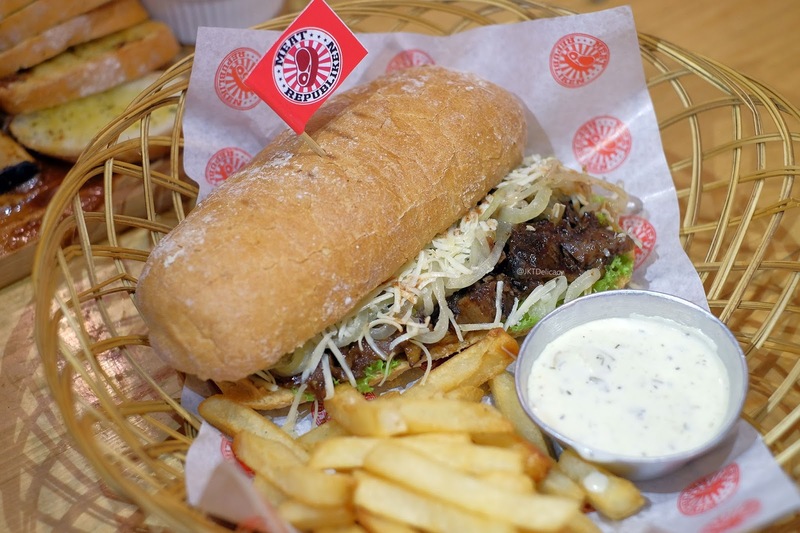 The name Ribs & Wich is actually Rib Sand Wich which is similar to the Pulled ribs burger before. They are still using the same ribs meat with caramelized onion and cheese. The difference is on the bun, this sandwich is using the hard sourdough bun. 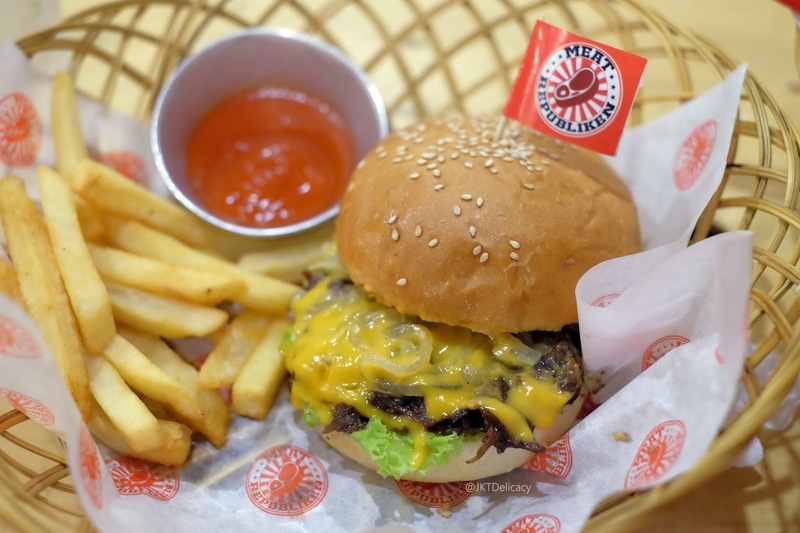 It comes with french fries and mushroom sauce. Its the meat only version of the same Ribs Platter menu (1st menu). 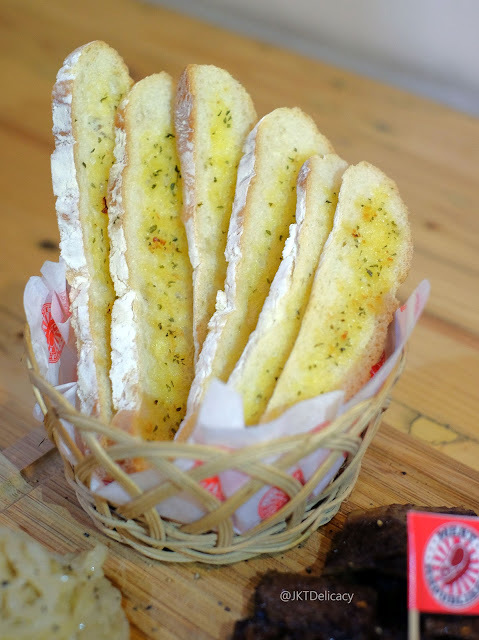 They slice it into smaller pieces and it comes with caramelized onion and garlic bread for the sides. 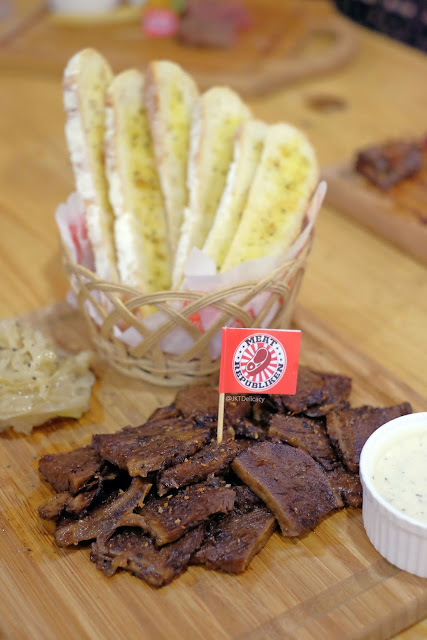 I really enjoyed this menu because somehow the ribs was more tender than the first menu. The seasoning was spot on plus the mushroom cream sauce was perfect for it. 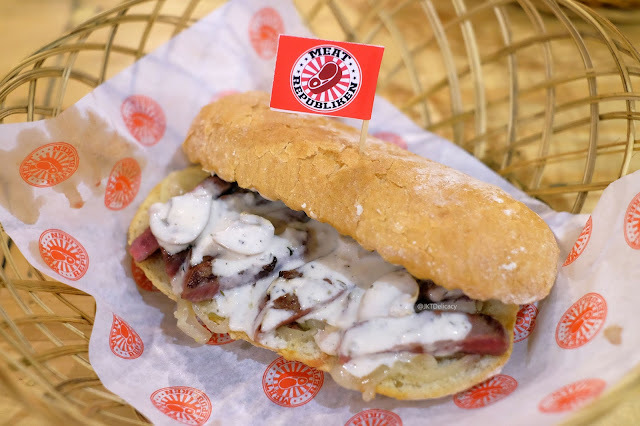 Last but not the least, Sandwich filled with Wagyu Sirloin and Mushroom cream sauce. Its still the same Wagyu Sirloin as before, the bread was a typical sordough bread, so the texture was harder than the normal bread. But, its pretty recommended! 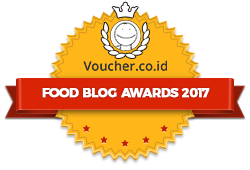 Especially the price, for only IDR 45.000! 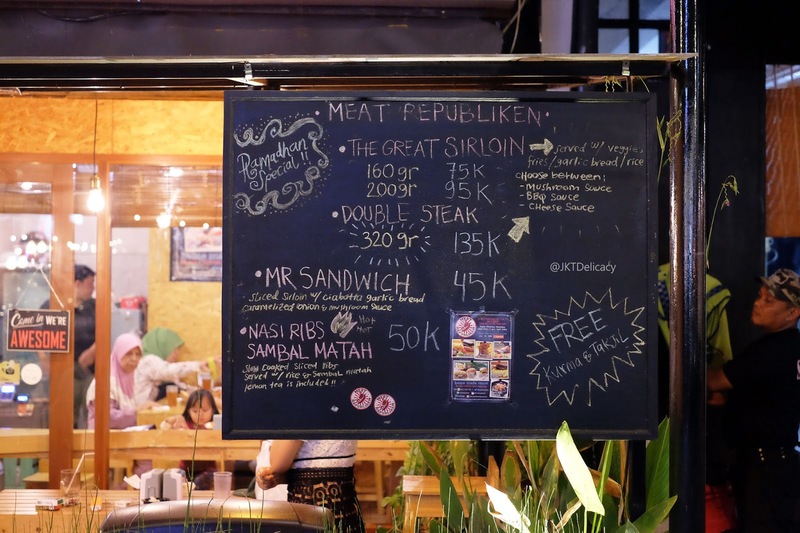 Itu sandwichnya gede bangeeet .. Tapi yg bikin ngiler dari fotonya ya yang medium rare sirloin steaknya !